Decorating for Christmas doesn’t have to be expensive. These amazing paper Christmas decor ideas will have your halls decked in no time! I love decorating our home with paper decor that no one knows was made from paper! So why not do it at Christmas time too? 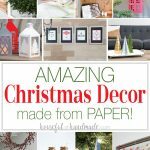 Save yourself some money and get your home ready for Christmas with these 19 amazing paper Christmas decor ideas. 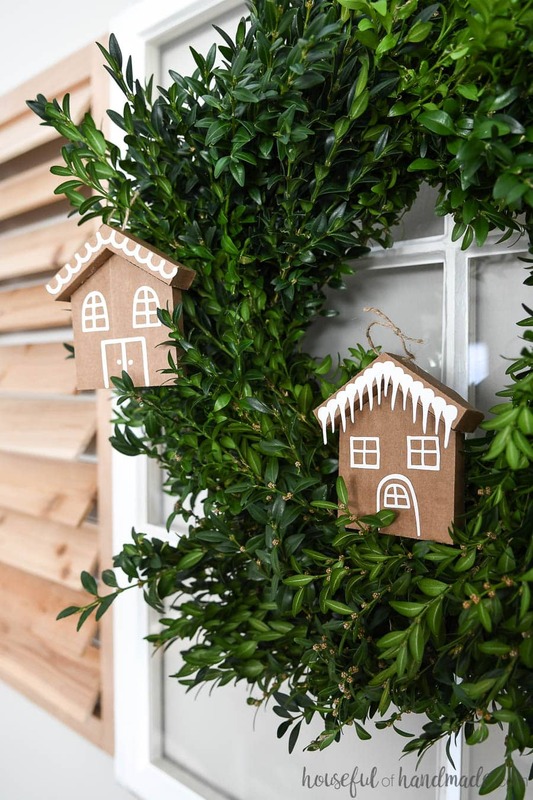 You can use paper to create all kinds of decor for Christmas. Anything from trees to reindeer, ornaments to wreaths. Plus there are unique paper Christmas decorations like advent calendars, and items upcycled from paper ready for the trash. Make this Christmas a Paper Christmas with these amazing ideas! Add touches of the holidays to every corner of your home. These beautiful paper Christmas decorations can be used everywhere. 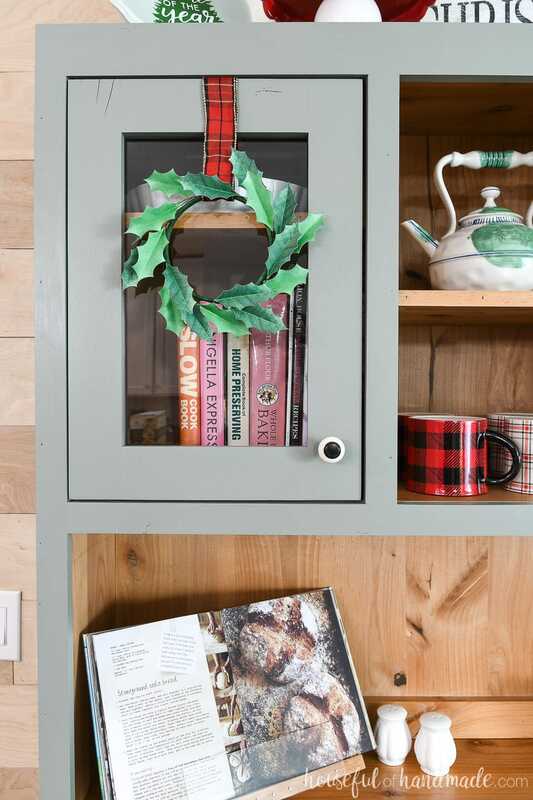 From decorating your Christmas mantel to your bookcases, from the kitchen to the table centerpiece. 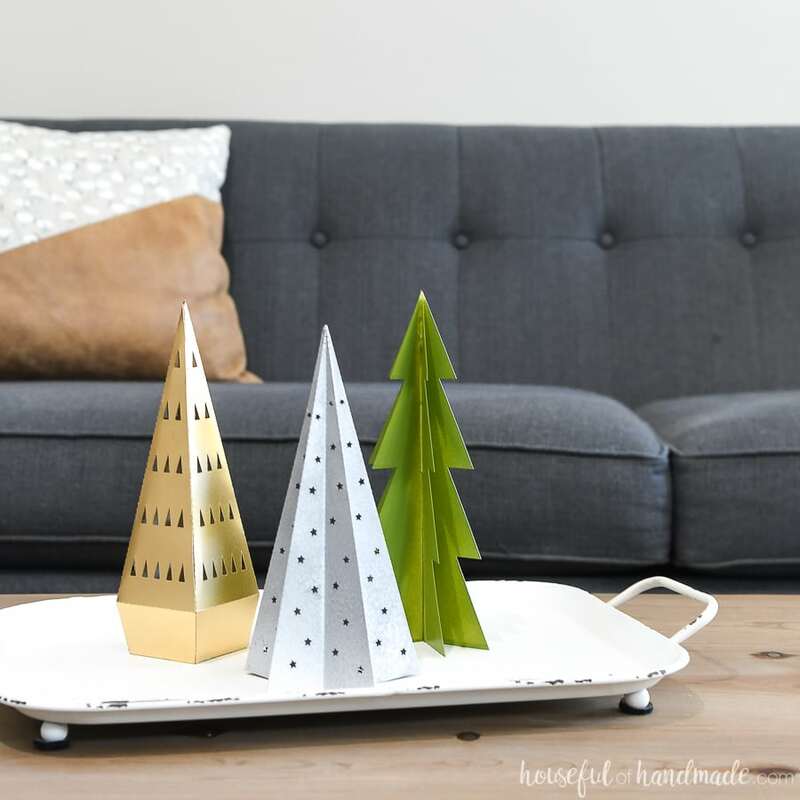 You will love all the ways you can fill your home with Christmas spirit with these easy paper ideas. Sprinkle a few of these easy paper Christmas trees all over the house. Put a few on a bookcase, add them to your dining table centerpiece, create forest of trees for a festive mantel, the possibilities are endless. Plus each tree uses only 1 sheet of cardstock and you can paint them any color you want! Lanterns are a staple in Christmas decorating. Save some money and make these beautiful DIY paper lanterns instead. 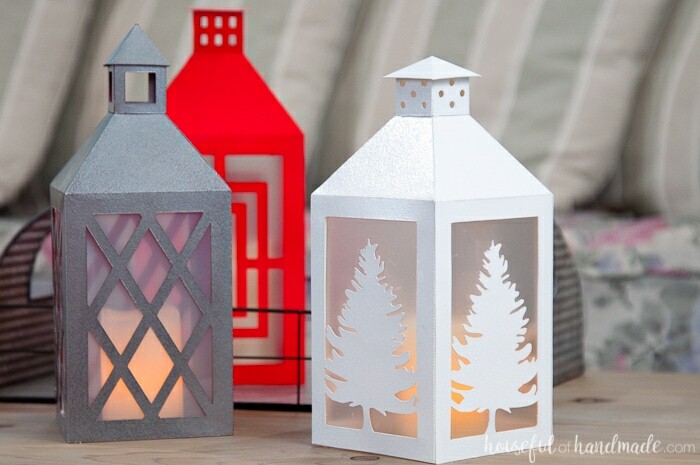 These lanterns look so nice, no one will know they are made from paper. And there’s a secret that will make them look like expensive fancy lanterns, but it’s so easy! 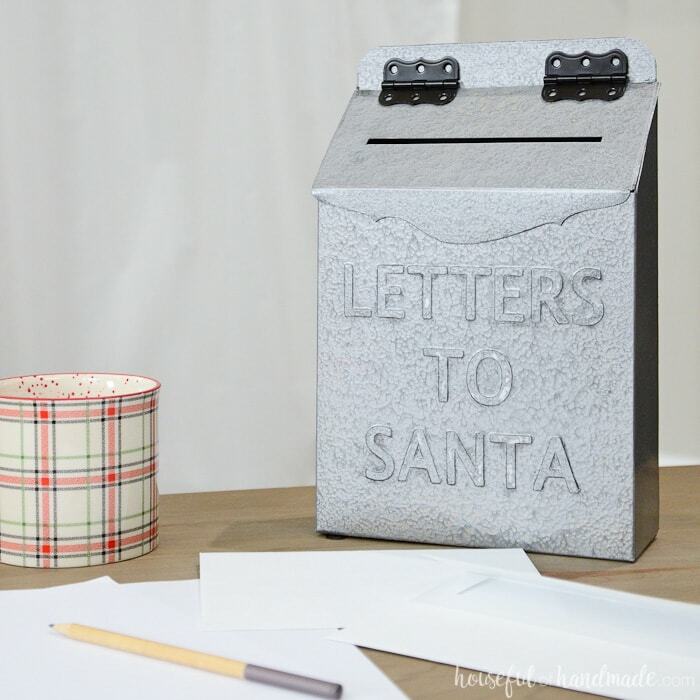 Your kids will want to write letter’s to Santa every day when they see this amazing Letters to Santa mailbox. And you will love that it is actually made from recycling something you probably already have in your cupboards! 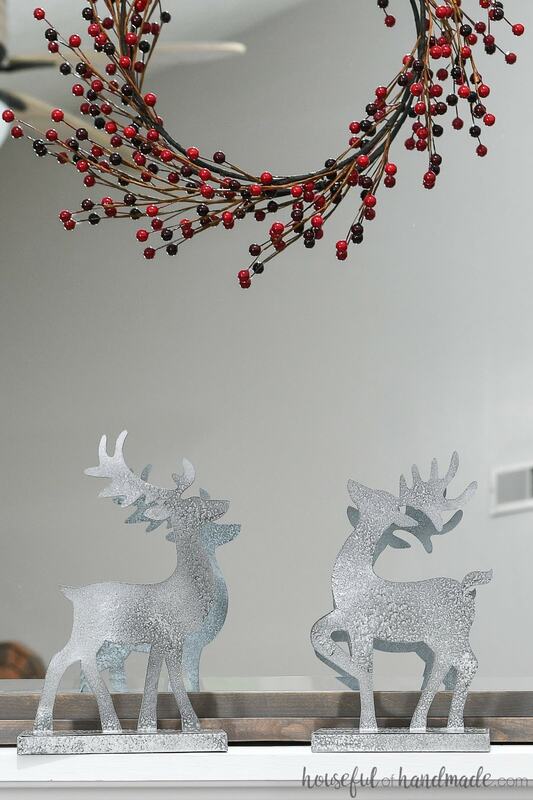 These magical Christmas reindeer figurines look like metal statues, but are indeed made from paper! These are great to add anywhere you need a little a little Christmas sparkle. If you are dreaming of a white Christmas, you will love decorating your house with this faux wooden snowflake decor. 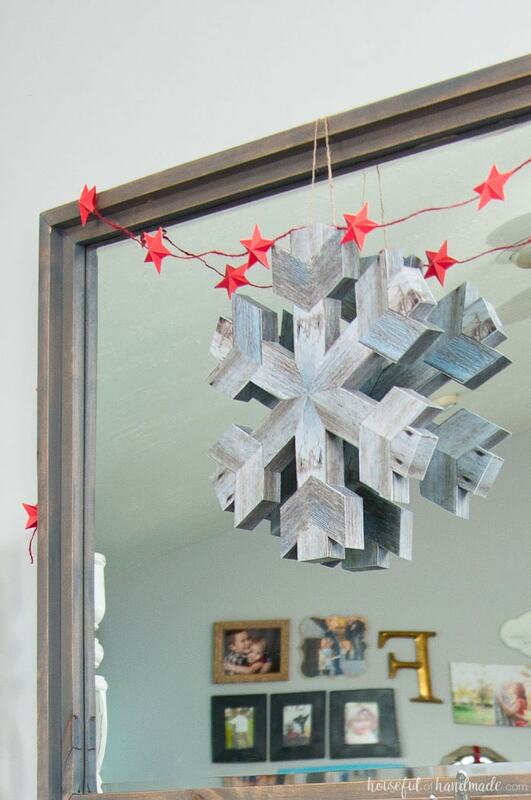 The large snowflake looks like it was built from reclaimed wood, but is actually just paper. And because it’s made of paper, it is light enough to hang anywhere in your home! Swap out a few of your frames with some beautiful Christmas art and your house will be instantly more festive! Printable art is the most cost effective way to add some Christmas cheer to any room. 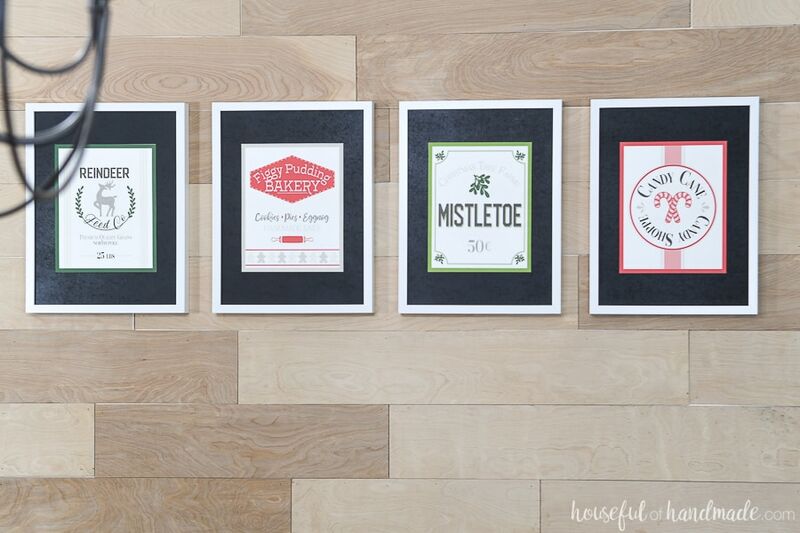 These 4 printable Christmas signs are made to look like vintage signs for North Pole shops. They are perfect for adding some whimsy to your Christmas decor. 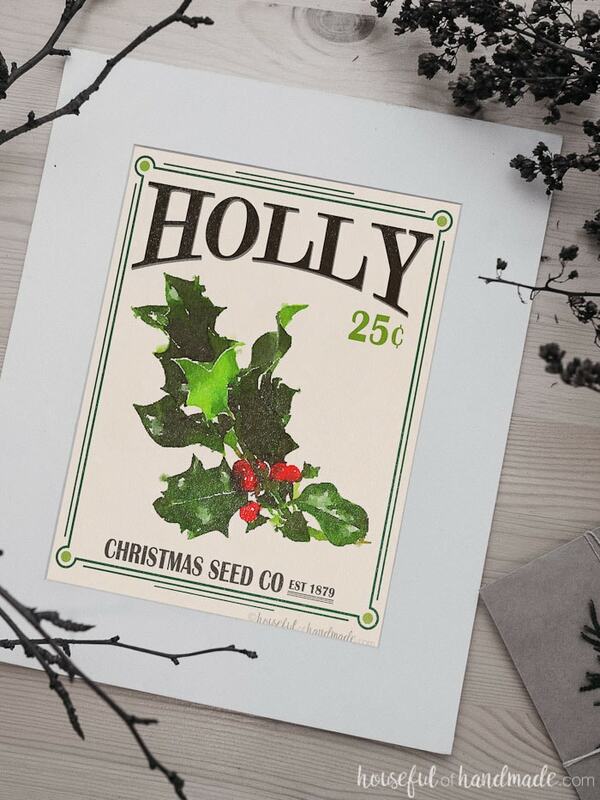 If you love decorating with botanicals, then these Christmas seed packet art printables are perfect for you! The watercolor images of your favorite traditional Christmas plants and flowers are perfect for decking your halls. Making Christmas ornaments out of paper is one of my favorite ways to save money at Christmas! Paper Christmas ornaments are a great inexpensive option. And since you need a lot of ornaments to cover a full size tree, adding in paper ornaments will help you fill it up for less money. Also, paper ornaments are much safer around kids. Yes, they can ruin them. But a broken paper ornament is way less dangerous than a broken glass ball. Believe me, I know! Make adorable Christmas ornaments and clean our your paper grocery bag storage at the same time! Yep, these awesome gingerbread house ornaments are made from recycling those bags so they are even cheaper than regular paper Christmas decor. 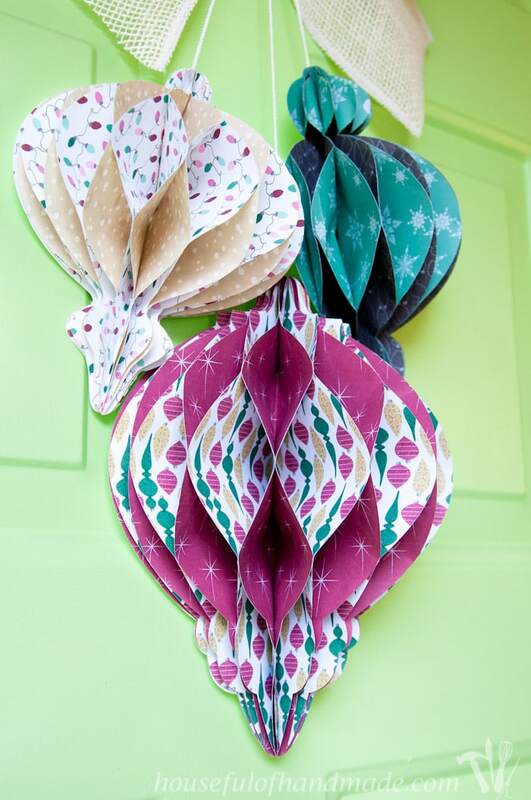 If you love lanterns, then you are going to love these paper lantern Christmas ornaments. 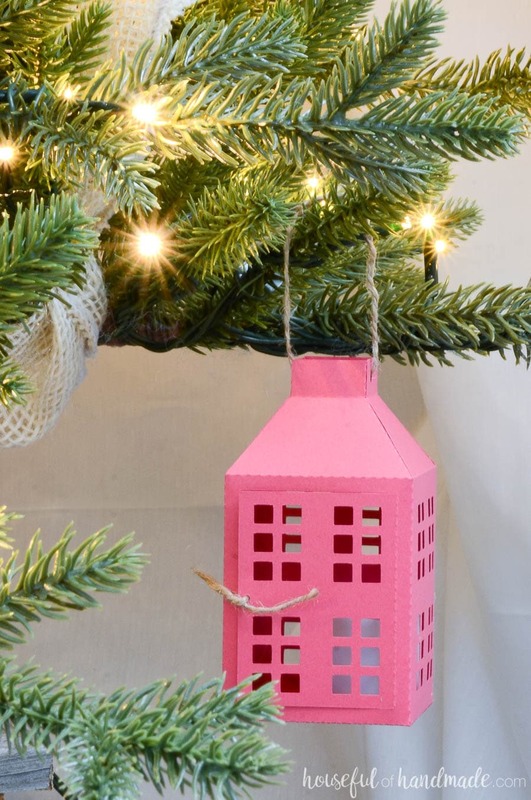 The traditional lantern design is perfect for adding to your Christmas tree, and you can make them any color you want. Have fun and go bold like we did, or keep it more traditional. How pretty would glittery gold paper be? What is a Christmas tree without a star? Stars are such a beautiful Christmas decoration that I knew we needed some as ornaments. 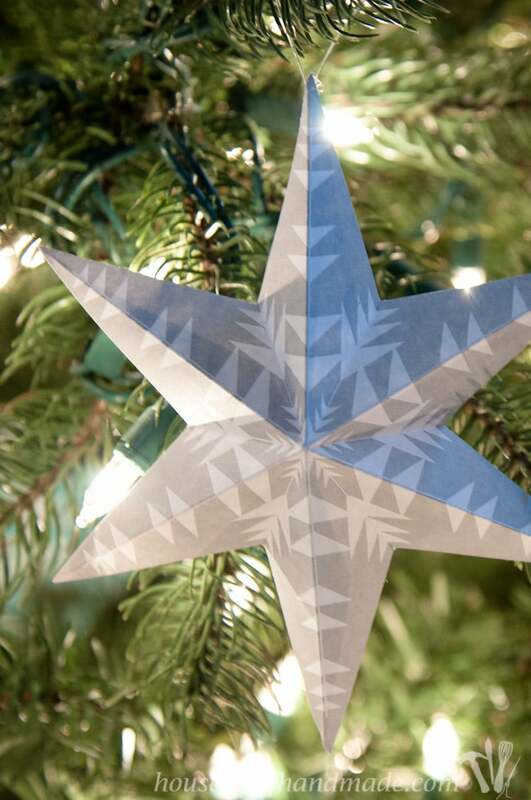 These printable 3D snowflake star ornaments come in 3 different colors so you can find the perfect color for you home. Wreaths are a must for decorating for Christmas! Whether you want to add mini wreaths to you kitchen cabinets, hang them on your windows, or just hang one on your front door. These paper Christmas wreaths are a fun way to fill your home however you want! Decorating with paper wreaths is way better than real ones because they will not die. These paper Holly wreaths will stay green all season long and you won’t be cleaning up dead leaves. Plus, you can store them away for next year too! Do you love unique wreaths? This giant paper ornament Christmas wreath is such a fun original wreath idea! The accordion paper ornaments are sure to make all your guests smile when you open your door. Do you love to countdown the days to Christmas with an advent calendar? Whether you want to countdown with an activity or a small gift, you will love making these beautiful Christmas advents out of paper. 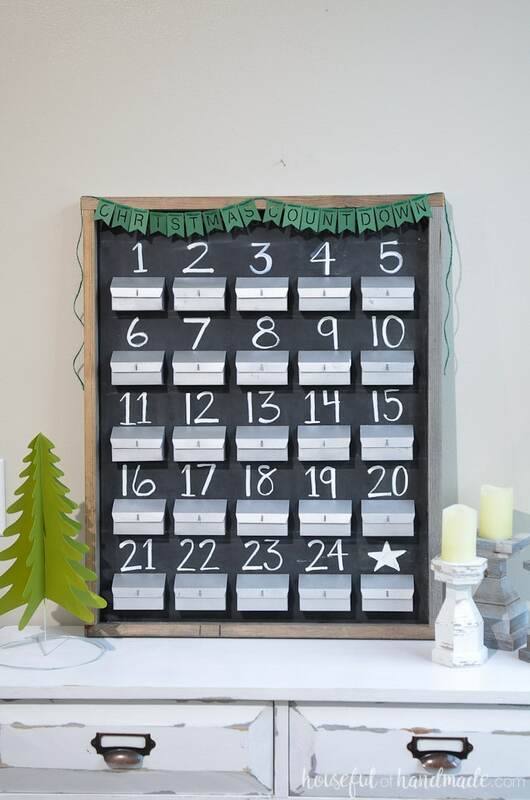 This refillable rustic advent calendar has 25 little “metal” mailboxes. You can fill each one with a treat as you countdown the days in December. And even the back of the calendar is made from paper, but with a simple (hot glued on) wood frame. 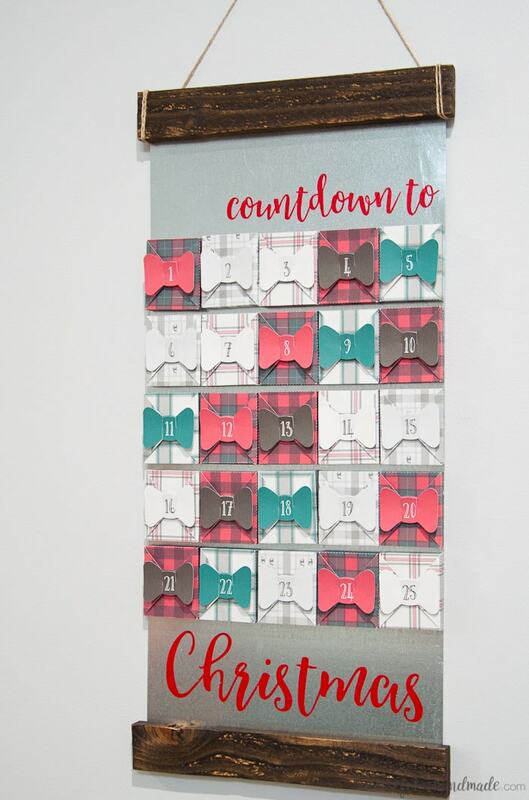 If you love buffalo check and cozy plaids you need this fun farmhouse plaid Christmas advent calendar. The little plaid boxes are held together with a paper bow. Each day until Christmas it’s a little present you get to unwrap! 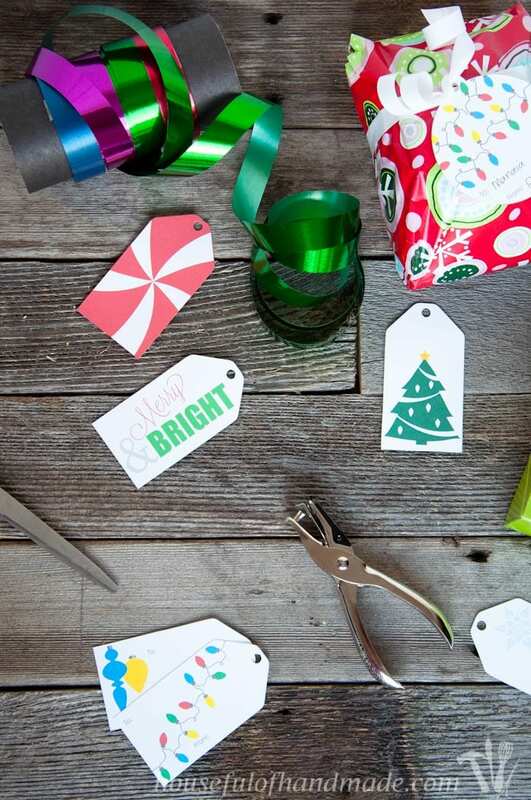 Do you love giving homemade gifts, or packaging up gift cards to look like little presents? Let’s not forget about the many ways we can use paper to create the perfect gift wrappings. From boxes for treats to boxes for cards and even a few tags for last minute gifting, we have all your Christmas needs covered with paper! And they are way cheaper than buying premade boxes. Package up your favorite Christmas treats for your family or neighbors. 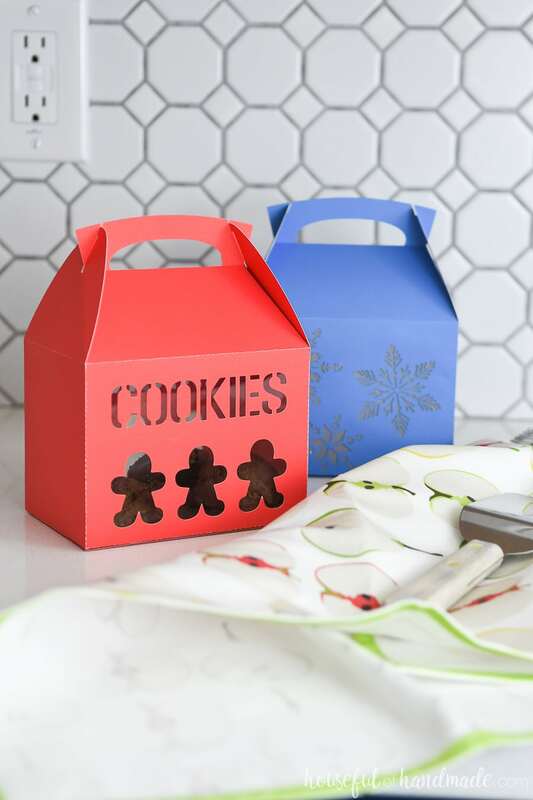 These 3 Christmas cookie boxes are perfect for giving away homemade cookies, candies, popcorn and more! And the little handle makes them easy to deliver. 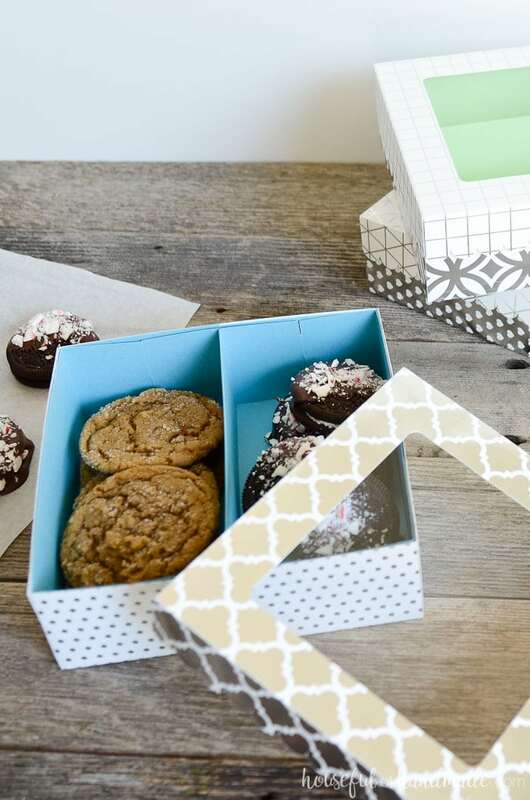 The large window on the top of these easy cookie gift boxes is perfect for showing off all those fancy treats. And this box is made with 2 compartments so you can easily gift different treats. Who doesn’t want a stack of cookies for Christmas? 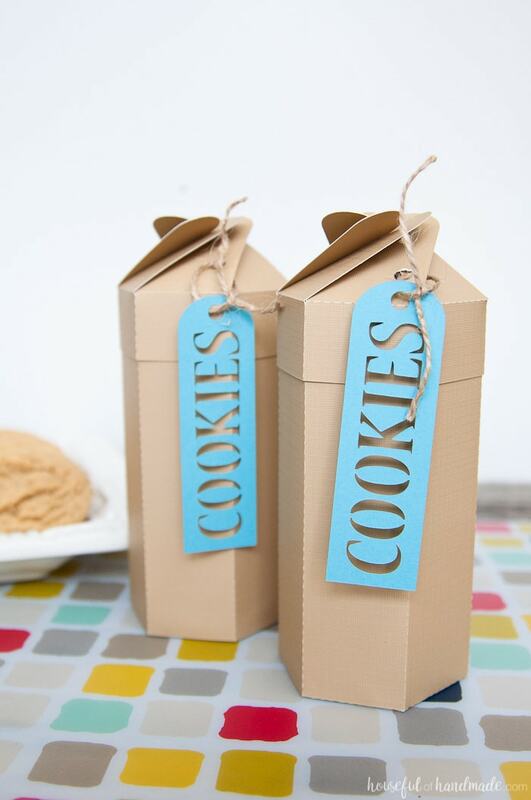 These unique printable cookie boxes will make everyone smile. And the lid is perfect for them to sneak a coolie throughout the day! Don’t let those gift cards get lost under the tree! 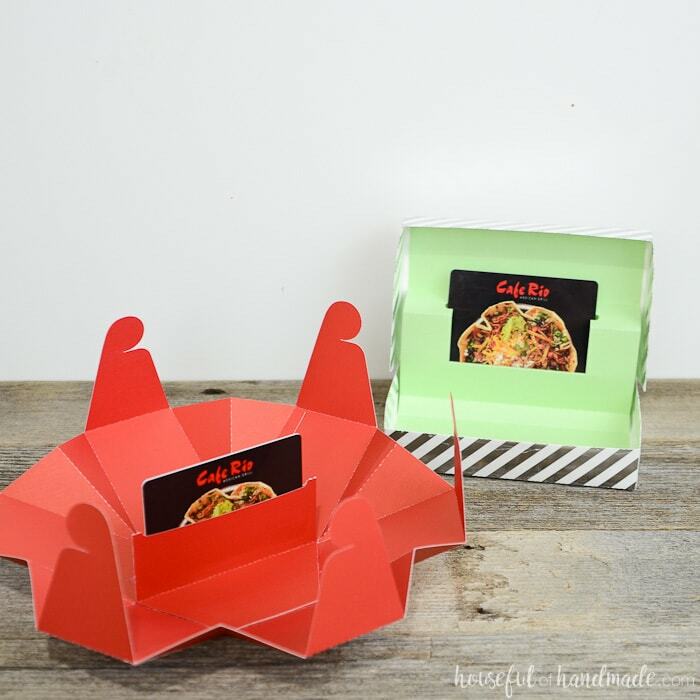 Wrap them in one of these gift card box templates instead. Forgot to buy gift tags? Don’t worry, these printable Christmas gift tags can be printed out whenever you need them. Even late Christmas Eve when you wish you were already sleeping! I hope you have as much fun decorating with paper Christmas decor as we do!